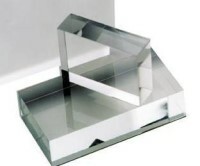 Polished Acrylic blocks for mounting items and display purposes. 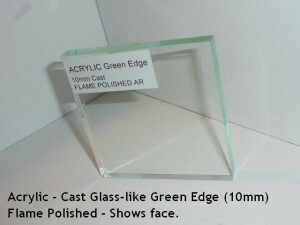 We supply Acrylic "blocks" from 2mm to 50mm thick with polished edges to various qualities. We can be supply from 50mm square to far larger areas subject to the weight being able to handled during polishing. These units are polished by various methods to produce a suitable mount for an image or display for any item such as jewellery. The edge polishing is done by several methods to achive the quality of polish you need. 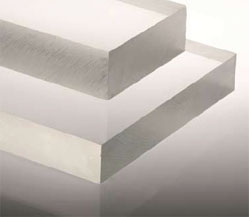 Please "click here" to read our webpage article about polishing standards. Blocks can be joined by magnets. For more information "click here." Below are some more examples of blocks again joined by magnet. They can be supllied without magnets in many colours. 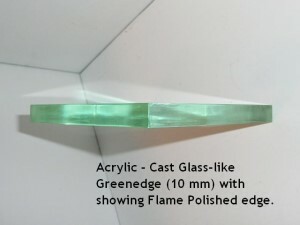 Most colours in Acrylic can be polished as blocks.